For the past several years, Memorial Day has been about family: family reunions and family history. Since 2016, I've re-organized a reunion of descendants of my second great-grandmother Minnie (Hawks) Lumpkins Barber (1881-1973). 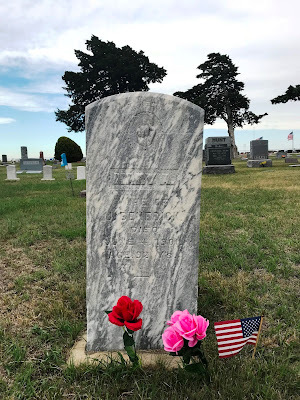 John Lumpkins - her first husband and my ancestor - passed away on his 38th birthday. His untimely death left Minnie a widow at the age of 28 with three young children and one on the way. In 1914, she married Joseph Barber and they had four sons. Her eight children went on to provide her with 35 grandchildren and dozens more great-grandchildren. Her clan began celebrating her birthday with a family reunion at a Kansas state park. For decades, hundreds of relatives would gather to camp and reminisce. Unfortunately, as years passed and new generations unfamiliar with Minnie came to adulthood, the reunion began to dwindle. 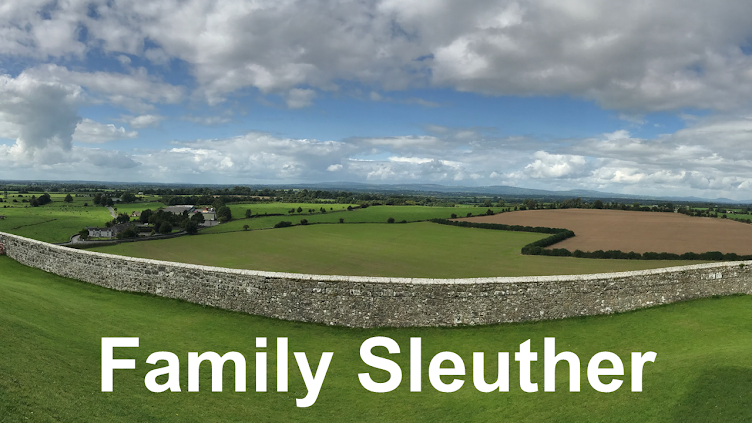 Fast-forward to 2015: my family history addiction compelled me to reignite the reunions, which have continued for the past few years with a hundred people attending. The reunion allows me to connect with my living family, but no trip to Kansas is complete without a stop at the Plainville Cemetery to remember my ancestors. Nearest and dearest to my heart, is the grave of my maternal grandmother Marilyn who passed away in October 2014. The cemetery is the final resting place of her parents, my great-grandparents. 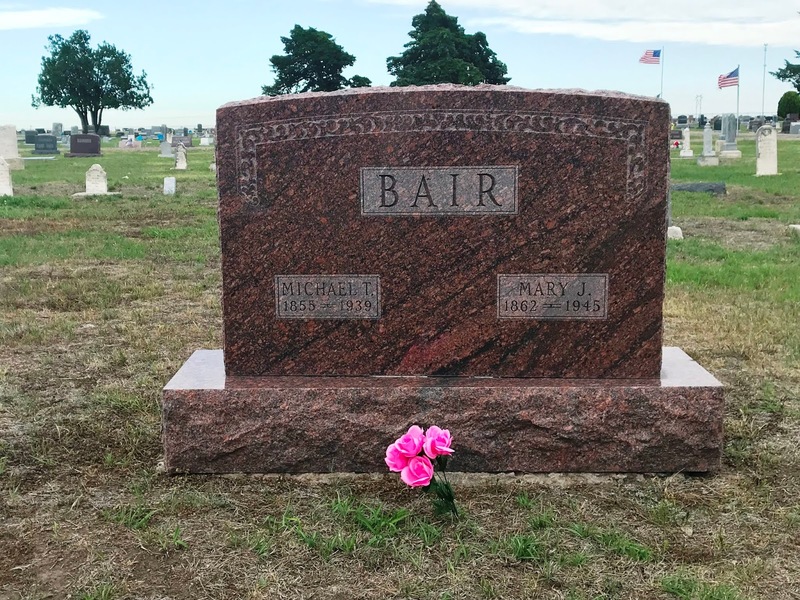 Marion's mother Minnie - the central figure behind our family reunions - is buried a few yards away. Nevella's parents are buried in the cemetery, too. And both Ernest and Bessie (Bair) Benedick's parents are buried nearby. 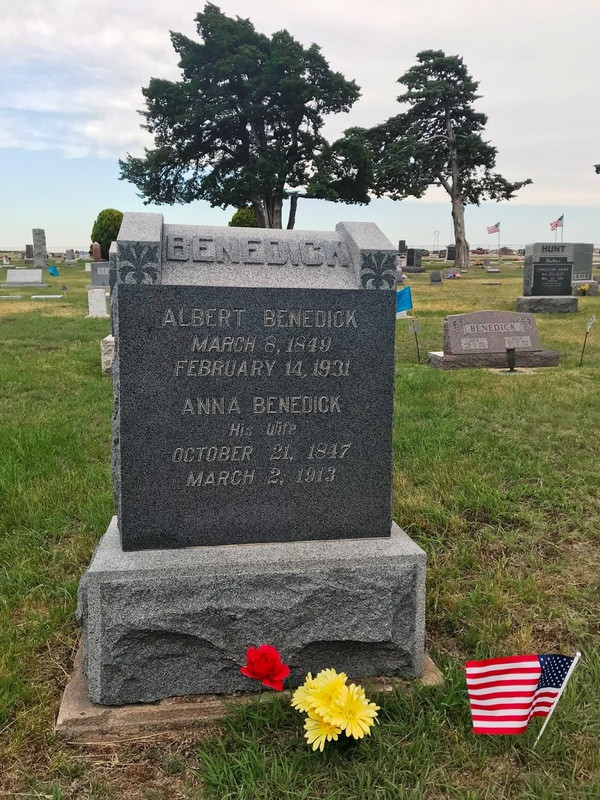 Albert Benedick was a veteran of the Civil War, having served in the Union Army. His mother, Mary Ann (Miser) Benedick, is my fourth great-grandmother and is buried beside him. In my mind, the holiday weekend is forever intertwined with family - living and past. It's a time of reflection on the people who have positioned us for the lives we lead. As Ralph Waldo Emerson wrote, "...every man is a quotation from all his ancestors." It really is. When I'm in Plainville I'm struck by the many generations of my family that called the area home, and if I could just rewind time what an adventure that would be! Wow, a hundred people! That is quite impressive. You must feel very grateful that so many show up! I'm incredibly grateful that the crowd continues to show up each year. I'm also grateful for the beautiful weather - four years in a row! The day after this year's reunion, there were tornadoes in the area - in true Kansas fashion. So wonderful about the reunions! I love that they've been rekindled and still hold interest for my family. Beautiful memories, touching photos and love of family, past and present. Love you Mike. Happy 5th blogiversary. I love your sleuthing stories.